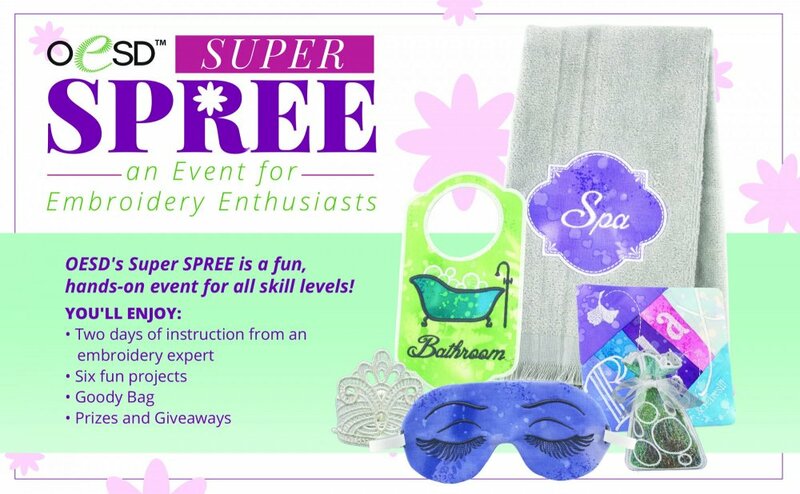 The OESD Super SPREE is a two day hands on program featuring 6 hands on embroidery projects as well as demonstrations on stabilizer and embroidery techniques. The program will also feature a truck show featuring 50+ embroidery collections. Door prizes, and all kinds of fun! We will have two participants at each machine. Will will be stitching on Bernina Sewing and Embroidery machines so it is a great time to test one out too! Must be ready to have fun! Melisa has a life-long passion for sewing. When the first domestic embroidery machines appeared on the market she bought two of different brands. Soon she was teaching for a dealer and has been involved in the industry ever since. Her experience is multi-fold: embroidery educator in store and national, embroidery software educator, embroidery business owner, and manager of fabric and sewing machine stores. If a new software or machine is launched, it is immediately on Melisa’s shopping list. On the personal side, her love of construction exceeds sewing. Melisa is also an avid woodworker and furniture builder. Her other passions include nature photography and tour guide to groups wanting to explore the natural wonders of the beautiful Northwestern United States that she calls home.